The town may be synonymous with Angkor Wat – the world’s largest religious structure – but there are plenty of things to do in Siem Reap other than visiting temples, and a multitude of reasons for any visitor to stay beyond a couple of days. There is something truly spectacular about watching the night sky plunge into a palette of colour as the sun peeks from behind Angkor Wat’s iconic spires, strolling in the shadows of Bayon’s 216 famed faces or marvelling at the battle between nature and man at root-riddled Ta Prohm, the backdrop for the 2001 Hollywood hit, Lara Croft: Tomb Raider, starring Angelina Jolie. And it is these wonders that make Angkor Wat Archaeological Park Cambodia’s top attraction, and what drives tourists to aptly named Temple Town in their droves. But to just see the temples and not explore the rest of the province is doing Siem Reap an injustice. Home to Cambodia’s most sacred mountain, sprawling pristine countryside, adventure trails and some great ecotourism and community-based tourism experiences, there is plenty more to pack into a trip to the town. Here, we highlight some our alternative things to do in Siem Reap avoiding the temples. The Visit Banteay Srei campaign launched a year ago with the aim of showcasing the off-the-radar natural beauty of this part of Siem Reap province. 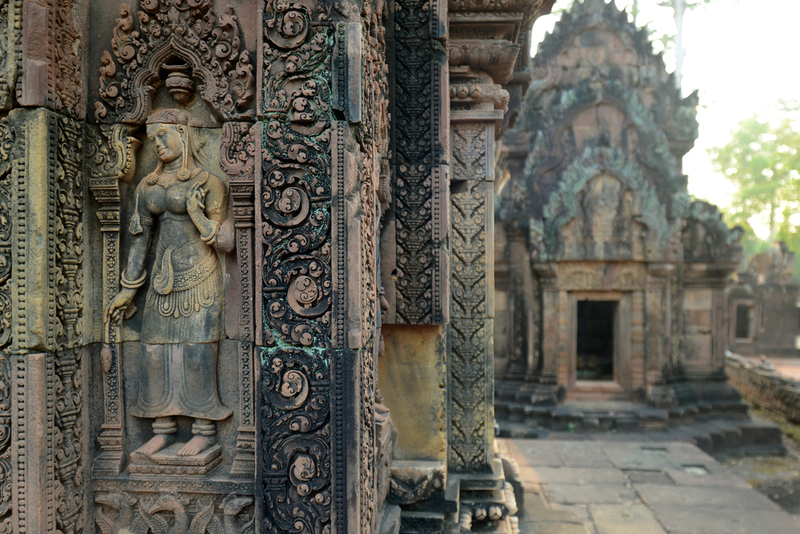 Home to the ancient Banteay Srei temple, which forms part of Angkor Archaeological Park, the ecotourism campaign highlights what visitors can do beyond the temples. Locals have opened up their doors to offer authentic homestay opportunities, businesses are welcoming visitors to explore their fruit and vegetable farms and villagers are on hand to offer a glimpse into real rural life. 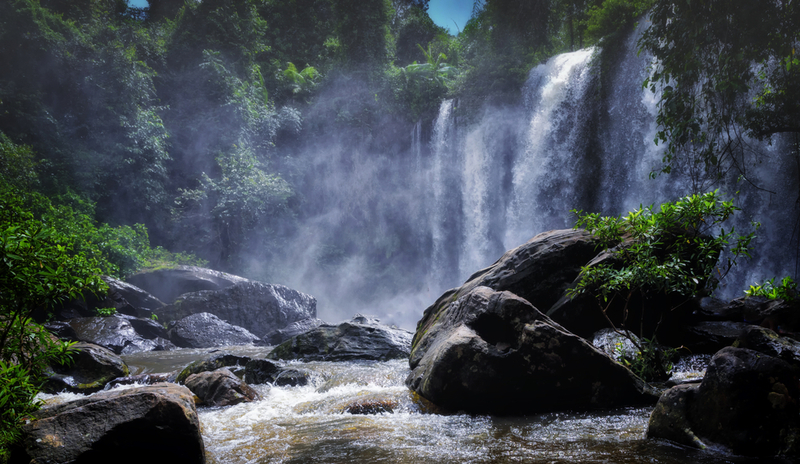 Regarded as Cambodia’s most sacred mountain, Phnom Kulen – about 40km from Siem Reap town – is a popular place of pilgrimage for locals at weekends and during festivals. Offering a welcome reprieve from Siem Reap’s simmering heat, the national park is a tropical jungle that is home to enough attractions to make a day of it. The mountain’s historic roots date back to 802AD when Jayavarman II was said to declare himself a devaraja – ‘god-king’ – at its peak. Entry is $20, with a 12km dirt track snaking through tropical jungle before reaching a focal point. From here, visitors can climb to the summit where a giant reclining Buddha sits, hit the waterfalls, which are popular swimming and picnicking spots for locals, or visit the famous River of a Thousand Lingas, etched with carvings of Hindu gods and symbols, believed to date back to the reign of King Udayadityavarman II. Delve into Cambodia’s artistic past with a trip to Artisans Angkor, which has an informative show room in the town centre. Launched in 1998, the organisation strives to train Cambodians in the ancient arts, which were almost wiped out during the Khmer Rouge reign, and provide local artisans with employment. Visitors can take a free tour of the workshops, where traditional Khmer handicraft is undertaken in the form of stone and wood carving, lacquering, silver plating and silk painting. Two free daily shuttle buses are on hand to take visitors to Artisan Angkor’s silk farm on the outskirts of the town. Here, guests can see how Cambodia’s famous golden silk is created, from silkworm to cocoon to finished product. Roll up, roll up because the circus is in town – every night at 8pm, in fact. And this isn’t your usual circus. Phare, the Cambodian Circus is the innovative product of NGO school and professional arts training centre, Phare Ponleu Selpak. Plucking youngsters from poverty, the centre provides training in a range of performing arts, including circus, with students putting on Cirque du Soleil-style shows to tell ancient Khmer folktales, given a modern twist. 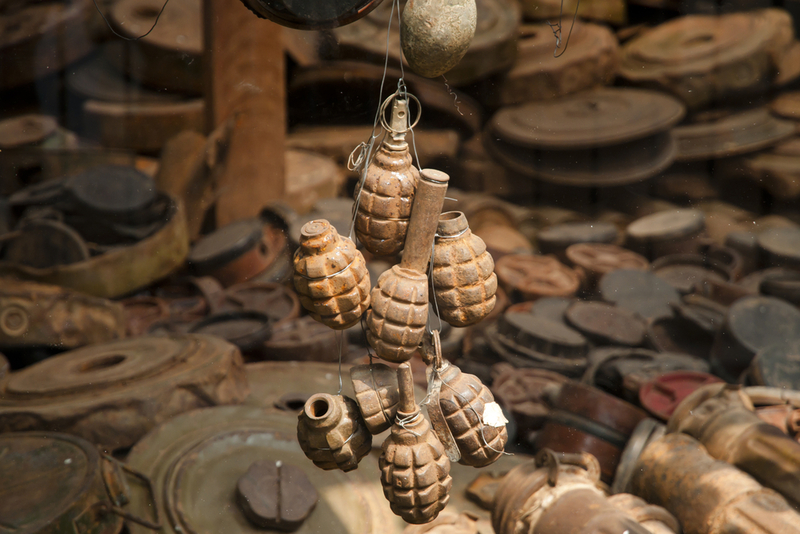 DIY de-miner Aki Ra opened Cambodia Landmine Museum as a tool to help fund the mass programmes to rid Cambodia of the landmines left during the war that still litter parts of the country today. The museum contains a collection of landmines, weapons and tanks left over from the civil war and Khmer Rouge-era, as well as informative storyboards and inspiring stories from survivors. If you’re lucky Aki Ra will be on hand to share his experiences and achievements. You don’t have to leave town to discover things to do in Siem Reap. Eat like a local and learn more about Cambodian cuisine with Siem Reap Food Tours. As the brainchild of expats Steve and Lina – a chef and food writer – the morning and evening tours showcase the weird and wonderful world of the country’s street food, from savoury noodles and fresh seafood through to tempting – and perhaps not so tempting – treats. The tours take guests through the streets of Siem Reap to delve into the food that keeps Cambodians on their feet. There are plenty of opportunities to sample dishes along the way. Forget the thronging crowds that spill out onto rowdy Pub Street in Siem Reap centre and instead head to Road 60. Every evening at about 5pm, the one-kilometre stretch of road on the outskirts of Siem Reap town becomes a hive of activity as locals gather for their evening meal. Stalls sell everything from deep-fried tarantulas and crickets, to frogs’ legs and a collection of tropical fruits. Buy some food and a can of Angkor and join the crowds of Cambodians on the mats laid out on the floor and enjoy dinner picnic style. Remaining one of Temple Town’s best-kept secrets, Kyung Yu, at the top end of Road 60, is yet to be overrun by tourists. Instead, you’ll find it packed with Khmer families flocking for some evening entertainment. With funfair rides, food stalls selling everything from fried insects to bananas, night market stands flogging classic Cambodian attire, such as patterned pyjamas, and dazzling neon lights, this is a great alternative way to spend the evening. While some of the rides may appear a little too sketchy to try, strolling around the grounds and soaking up the atmosphere is an experience within itself. Siem Reap is home to the Tonle Sap Lake, a huge expanse of water that rises and falls depending on whether it is wet or dry season. 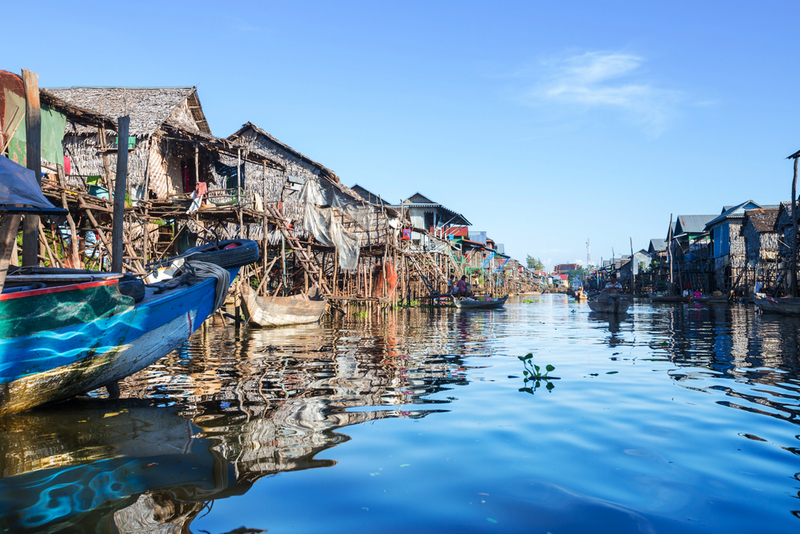 As well as being home to a swathe of endangered birds and marine life, the water provides a home to many ethnic Vietnamese and Cham communities. Various boat trips sail through these villages, where everything from schools, shops and places of worship to the village hall float on water. Rounding off our list of alternative things to do in Siem Reap, adrenaline junkies can get their hit while exploring Siem Reap’s swathe of shimmering paddies studded with palm trees, forests and rough tracks with Kickstart Cambodia, which has a dirt bikes to suit all. Ranging from half-day tours of Siem Reap to week-long trips across the country, viewing Cambodia from the back of a motorbike is a bikers’ dream. For more Cambodian travel ideas, why not read about the Irrawaddy Dolphin, Ecotourism in Kratie. Marissa inherited her love of travel from her parents, who would entertain her as a child with exotic tales of their adventures across the globe. Her first solo leap into foreign lands was an Inter-railing trip across Europe and North Africa during her first summer at university and, despite two muggings, several dices with death and a terrifying encounter with the monkey mafia, she was hooked.